In recent surveys, CHCCS schools have been identified as schools with high numbers of Academically/Intellectually Gifted (AIG) students. To ensure that the needs of AIG students are being met in the classroom, the Elon AIG Teacher program, a new partnership between Elon and CHCCS schools, was negotiated by CHCCS Superintendent, Dr. Pam Baldwin. This program offers a few graduate classes that are taught at the Masters level to CHCCS teachers. Elon’s School of Education Project, Leveraging All Unique Needs (LAUNCH ), started this program to educate teachers about how to best teach academically gifted students. “It’s not a true Masters program, but after I finish it, I will get my AIG licensure, which is basically intended to allow me to teach other teachers at this school about teaching AIG students,” said Pierre Lourens, CHS English teacher and journalism advisor. Lourens explains that the AIG program does a good job of teaching different ways to structure a class to meet the needs of AIG students. The program also provides resources for teaching AIG students for whom English is a second language, or who have learning disabilities. AIG students are students who are identified as being above average in intelligence level and creative potential. CHS Social Studies teacher Lisa French thinks that this additional licensure will help her to better meet the diverse needs of the students of CHS. “So far the courses we’ve been taking, although it’s been focused on gifted education, it’s come from the model where the teaching and planning strategies will benefit all students,” said French. Lourens thinks that the Elon AIG program gives teachers more of a voice in determining the curriculum for future years and ensuring that the highest qual-ity education is available for students. “I think by having trained people within a lot of the schools will help the natural course of action that we need to plan together, and we need to assess work together,” said Lourens. Jacqueline Cerda-Smith, social studies teacher, believes that the Elon AIG Teachers program will facilitat communication and collaboration of teachers in CHCCS schools. dents in our classroom and the different techniques that we’re using for them. It’s also very helpful to work with other teachers in the school and in the district to collaborate for some of the ideas we have for projects and units,” said Cerda-Smith. 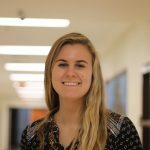 French also thinks that the Elon AIG Teachers Program will add to her toolbox of teaching abilities and will especially help her with teaching blended classes. “Since I teach these blended classes that we rolled out this year with the freshman class, I’m really excited to get new strategies and new ideas for my lessons to reach my gifted students,” said French. Cerda-Smith also teaches blended classes. She and the other teachers are confident in their ability to meet the needs of standard and honors level students, but struggle to reach and challenge AIG students. “Mr. Lourens, Mrs. French and I are all teaching heterogeneous classes this year, so we all feel that the AIG program will be a great fit because we all feel like we don’t know how to best serve academically gifted and talented students,” said Cerda-Smith. Lourens is excited to meet other teachers from other grade levels and other disciplines through this program. He looks forward to discussing with middle school teachers about how they are preparing their students for high school and what he expects from high school students. Lourens believes that important discussions like these will ensure the fluid transition of students from middle school to high school as they continue on their thirteen-year education path. Teachers and students are excited for the Elon AIG Teacher Program as it will truly enrich the CHS learning environment for the school’s AIG students. 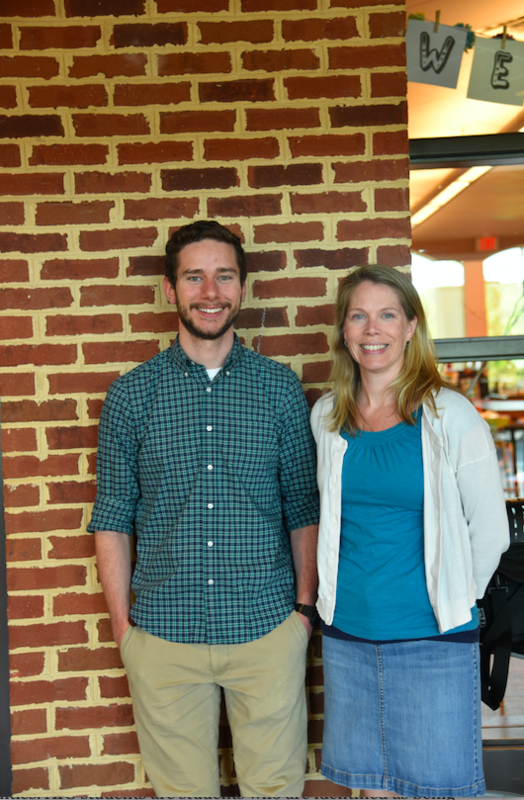 Pierre Lourens and Lisa French are both part of the Elon AIG Teacher program.